The modern instrument sales market is populated with bargain instruments, with a large number of manufacturers and a wide range of choice for the consumer. The diversity of instruments and the competition among them provides you a huge range of choices for electric guitars. Epiphone presents the new SG Special, which comes at a price anyone can afford, and offers a great way for new players to get started on an electric guitar. The SG Special has the same SG tone and classic looks and feel, which have remained unchanged for over 50 years. Guitar players from all over the world recognize the SG models as some of the best and distinctive electric guitars in the market. Seasoned pros and amateurs alike will love the new SG Special for its smooth, easy to handle Mahogany Slim Taper neck, and its powerful ceramic Open Coil Hum buckers. This model also comes with three classic color finishes including ebony, cherry, ad Pelham blue, which all look amazing. It’s also well balanced, very light, and has respectable sound. It comes with reasonable intonation capabilities, and its craftsmanship is above or at par with the instruments in its price bracket. This is an all-round instrument, which can compete well in terms of quality, features, price, and looks. It’s a high value instrument at a very competitive price. 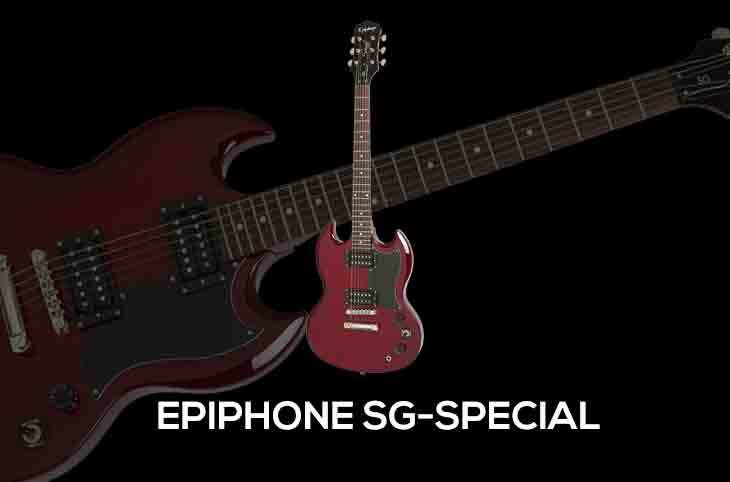 Besides the price, the playability of the Epiphone SG Special is one of its strongest suits. It’s neck has a nice “C” profile, which feels a bit chunky, and offers a good grip. 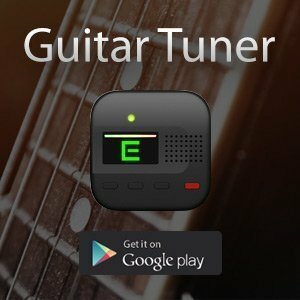 This is essential for beginners as they are learning to rock out. It’s also fairly easy to access its fret-board, largely because of the faithful rendition of the SG classic body design. The neck will serve you well, whether you like your strings low or high up (for those with stronger hands or for side playing). I found the frets to be a bit thin for my tastes, though they do get the job done quite well. When it comes to the balance, the Epiphone SG Special is excellent, particularly with its neck, when you’re standing and using the strap. You’ll find that the guitar is airy and light in the hands, and it remains reasonably resonant as you play it. I was just amazed by how much the body resonates with the different notes. The thin guitar body is on the unobtrusive side to the player’s picking arm, but it’s not contoured for the pick arm rest and the ribcage. As you would expect, the SG Special is relatively at par with the other models in its price range, when it comes to features. It’s only average, but offers some features that outweigh other models in their value. As mentioned earlier, the body is great. The SG models are renown for being easy and fun to play; making this guitar an incredibly all-rounder option. The neck is bolted on, and has a shallow pocket that holds the heel of the neck. The feel/balance of the body and neck are some of the strongest features with the SG Special, which when coupled with its great sound make the guitar a great choice for beginners. The quality of the tuners is below average, and the tuners are pretty much among the cheapest things you can buy. Nonetheless, most manufacturers use such tuners, to keep the prices low. The SG Special comes with 2 potentiometer knobs; one for volume on both pickups and the other for tuning on both pickups. The pickup selector allows you to select neck-only (rhythm), bridge only (lead) to enhance clarity, grind, and growliness, and both pickups to increase the punch and loudness. The bridge is relatively loud/hot, and can serve the various rock styles extremely well. The neck pick up is generally ideal for smooth sounds. For the pickups, they are average in quality at this price range, though a bit high for the price range. Overall, they are quite, and are the open-faced variety. Through a nice amplifier, the SG special outs great sounds, and holds surprisingly well compared to guitars that costs up to twice as much. The stock pickups can pick up enough signals for slap plucks and pinch squeals, and can do the distortion thing fairly well. The output of the pickups is above average, if not pretty great. Although they lack the dynamic capabilities and smoothness of other pickups, they are great for beginners. The Epiphone SG special is a great offering at its price range; one that can last a beginner electric guitarist for quite some time. The instrument however could use two tone and volume controls, and could have come in more colors. Nonetheless, this is one of those guitars that will invoke different feelings in people. 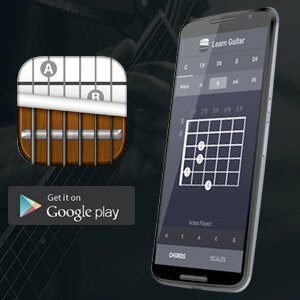 It's quite a capable guitar, that you can build and improve your skills with over time. moreover, you can continue to use the SG Special into your Intermediate and Advanced stages, using some mods and upgrades.